← Spring Break on Maui Soon and We Are Going to Keanae! I love flower pictures. I cannot wait for the snow to melt where I’m from. Beautiful Plumeria! I remember picking the neighbors tree so that I could make Plumeria lei for May Day! I miss that amazing place. Plumeria is so beautiful!! Beautiful shot as ALWAYS! I soooo admire your phototaking abilities! I love plumerias. I fell in love with them when I visited Maui. A friend bought me a couple of starters for my birthday and I promptly killed them. Beautiful flowers. I don’t think I’ve ever seen them before. You picked the right flower for me. 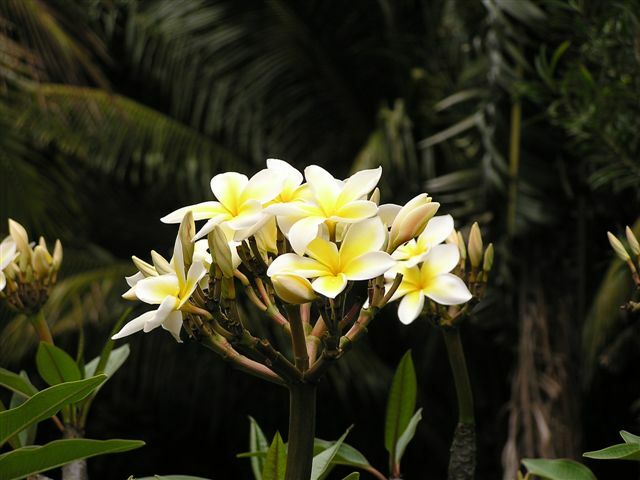 When I am home back in Canada and miss my island home, I just close my eyes, feel the warm tropical breeze, hear and waves lapping on the shore, and breathe in the scent of plumeria. Your photo is lovely. Thanks for making my day. Beautiful picture…did you notice last week my entry was NO WORDS, so there 🙂 Lol…. IE Mommy’s last blog post..What Do Gifts, Jewelry, Mascara, Photos and Party Have in Common? I love this picture and I love your blog! Keep up the great work and thanks for your comments on my blog.